Esther and her two sisters grew up in a foster home in England in the 1980s. The foster parents, outwardly respectable, treated the little West Indian girls like animals. Imprisoned, enslaved, subjected to extreme physical, sexual and racial abuse, nobody believed them and nobody helped. 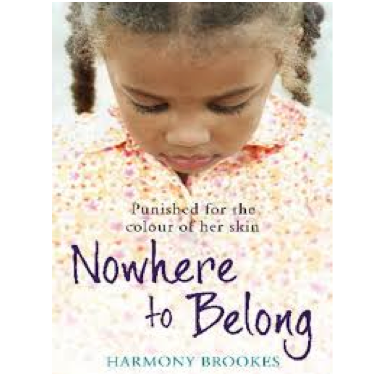 NOWHERE TO BELONG - PUNISHED FOR THE COLOUR OF HER SKIN (Hodder and Stoughton, 2009) is the true story told by one of the sisters- her struggle to find a life and a voice for herself. Only one sister survived to tell the world their story because she was given a reason to fight back: she gave birth to a child of her own. 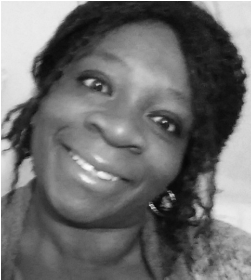 Esther Grace wrote her book under the pen name HARMONY BROOKS. She is now happily living in Wales with her son, is reunited with her long-lost daughter and speaks publicly about the abuse she suffered. Her case is still being investigated by the authorities, as reported in a recent article in the Express.